The Federal Reserve Bank of Boston serves the first district of New England, encompassing most of the six New England states from Maine to Connecticut. The Regional & Community Outreach Department of the Bank promotes the economic strength of lower-income individuals and communities in New England. Our focal areas are threefold: Strengthen the prospects of smaller industrial cities in New England; Increase employment opportunities for lower-income residents; and advance household economic security and equity. 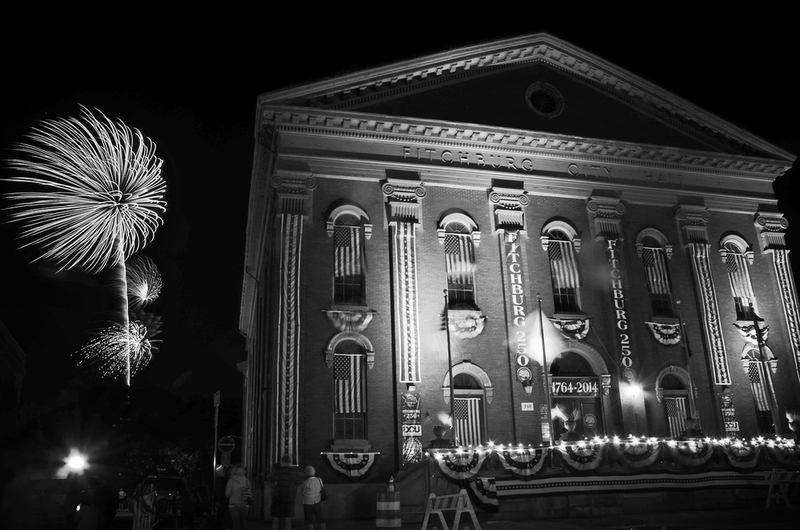 Fitchburg is a formerly industrial city with a population of 40,462[i], located an hour west of Boston. Like other small, post-industrial cities in New England, Fitchburg has struggled with job loss, downtown vacancy and a declining real estate market. A cross-sector team, known as ReImagine North of Main (ReImagine), has embarked on an ambitious effort to transform Fitchburg’s downtown, including both commercial and residential areas, into a neighborhood of choice – a place where people want to live, work, play and invest. The ReImagine team includes the City of Fitchburg, Fitchburg State University, NewVue Communities, Fitchburg Art Museum and the Montachusett Opportunity Council, which is serving as the backbone agency for the initiative. The work is centered on bringing together stakeholders to create and implement place-based strategies to improve the local economy and address the social determinants of health that impact the lives of low-income residents in the North of Main neighborhood. The ReImagine team is a first round winner of the Working Cities Challenge (WCC) and an active participant in the Capital & Collaboration initiative. In addition to the funding from WCC, the team is also supported by The Health Foundation of Central Massachusetts and participated in a Capital Absorption workshop sponsored by the Kresge Foundation in November 2016. The group has coalesced around a shared vision for Fitchburg as a destination for arts, culture and the maker economy with a focus on downtown. Together, they identified a set of priorities, pipeline projects, and changes to the enabling environment that would facilitate capital investment. This was an important milestone in ReImagine’s work, as it allowed the City’s major stakeholders to build trust, establish a common vision, and move forward together on key projects such as the University’s Theater Block project and the redevelopment of a former school building into affordable artist housing and studio space. 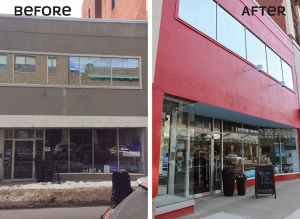 ReImagine has created a more business-friendly Main Street by getting to know property and business owners, providing access to low-cost financing and grants, and making City Hall more welcoming. 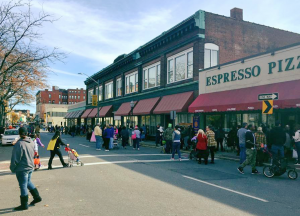 At the same time, the team is increasing foot traffic through a focus on placemaking and events such as the Porch Fest music festival, Trick or Treat on Main Street, and Fitchburg Farmer’s Market. As a result, nine new businesses have opened since January of 2016, and downtown vacancy has decreased. The team’s Neighborhood Development work centers on a comprehensive plan to improve the housing market and to change the way people feel about the neighborhood. The strategy includes marketing, the advancement of new data systems and targeted code enforcement for problem properties, and a number of large and small capital projects. ReImagine is also working to stabilize the housing market by supporting homebuyers with down payment assistance, providing homeownership counseling, and connecting residents to financing tools. Progress thus far has been encouraging: ReImagine has received a $500,000 NeighborWorks Project Reinvest Grant, which will go towards 12 homeownership rehabilitation projects and a $10,000 match grant from the local Community Reinvestment Act coalition to implement a Homebuyer assistance program. The team has committed to building social capital among residents and stakeholders that live, work and invest in the neighborhood To date, hundreds of residents have been involved in various community engagement efforts aimed at increasing collective efficacy and social cohesion among residents and civic leaders. For example, as part of this year’s Community Leadership Institute (CLI), the team has created a garden box competition among 33 households in the neighborhood. More than 134 residents were reached during door-knocking and one-on-one meetings, which identified leaders for projects in the community, such as National Night Out, Main St Live Music Festival, and the team’s Community Development Block Grant application for improving city sidewalks. 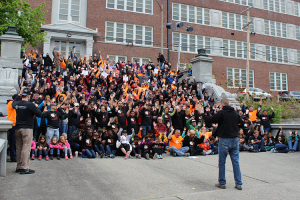 ReImagine has also partnered with the Fitchburg School Department and other community-based organizations to address issues such as school readiness, financial inclusion and fresh food access through gardening. As a result of these efforts, surveys of residents are showing improved perceptions of the neighborhood. Four out of five residents in 2016 (82%) were satisfied living in North of Main, compared to 73% of residents in 2013. Seven out of ten residents in 2016 (72%) would recommend North of Main to someone else as a good place to live, compared to 65% in 2013. Two thirds of residents in 2016 (65%) felt that the community was likely to improve, compared to 58% in 2013. Fitchburg’s turnaround will take time, but ReImagine North of Main is proving that measurable progress is possible through sustained cross-sector collaboration, community engagement, and committed partners. There’s no question that this effort advances the Network’s vision for a community integrating a broad definition of health and wellbeing. The Working Cities Challenge (WCC) was launched in Massachusetts in 2013 by the Federal Reserve Bank of Boston and is a grant competition designed to incentivize cross-sector leadership and collaboration and support ambitious work to improve the lives of low-income residents in these cities. The competition, which is now in its 4th year, has expanded beyond Massachusetts to include other states in the district, including Rhode Island, Connecticut and are considering a Northern Tier model to be launched in 2018. The Capital and Collaboration initiative is a companion to the WCC that is focused on the use of investment capital to address the needs of low and moderate income residents. Drawing from the capital absorption framework, a working group comprised of financial institutions, state agencies, and advocacy organizations explored these issues in the context of both real estate and small business development. Carmen Panacopoulos joined the Federal Reserve Bank of Boston in April 2014 and is currently the relationship manager for financial institutions headquartered in Maine, Massachusetts (Suffolk, Essex and Middlesex County), New Hampshire and Vermont. Prior to joining the Bank, Carmen worked in the Commercial Real Estate group at both JP Morgan Chase and RBS Citizens N.A. 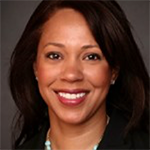 as a Vice President and Client/Relationship Manager and while at RBS Citizens held the Market Manager role within their Community Development group, where she also served as a member of the Bank’s leadership team in Massachusetts. She also served as a Senior Community Investment Manager with FHLBBoston and a Senior Asset Manager with MassHousing. She has over 20 years of experience working with for profit and non-profit developers in the creation and preservation of affordable housing, small business and mixed-use commercial real estate to revitalize communities. 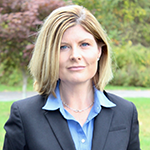 Patricia Pistone serves as the Montachusett Opportunity Council’s Vice President of Planning, Policy and Development. Ms. Pistone’s focus for her professional career has been to improve the vitality of the local region of North Central Massachusetts. It has been her personal and professional goal to help strengthen the resources in our region, whether it is to expand training programs for low income residents, coordinate regional homeless services for families or improve the local infrastructure for all residents. Ms. Pistone has twenty years of direct economic development and social service experience. As the Vice President of MOC for the past ten years, she has gained experience in the areas of program management, planning, marketing, development and finance. She also has a solid policy and political background that has provided me the opportunity to work for many national figures, including Senator Edward M. Kennedy, Senator John Kerry and Congressman John Olver.